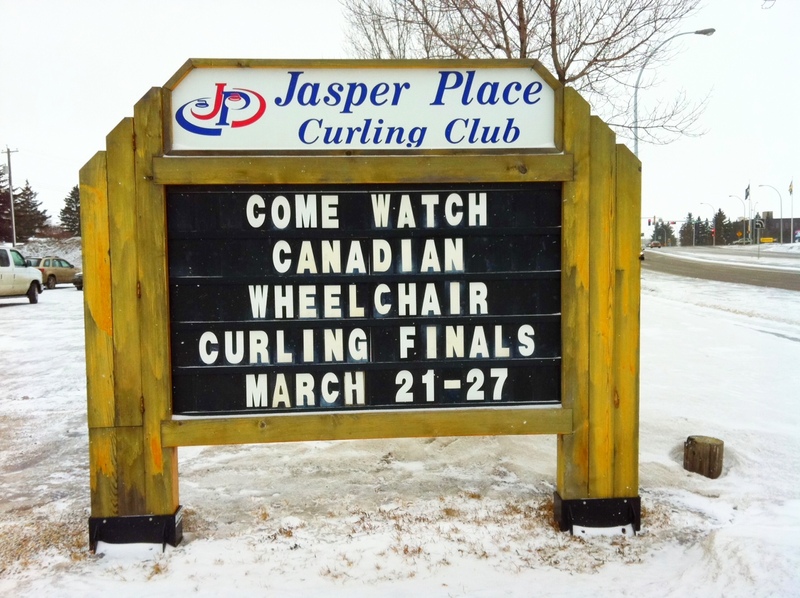 Edmonton's Jasper Curling Club is ready to showcase the 8th Canadian National Wheelchair Curling Championships. The ice is reported to be fast, about 13 1/2 seconds hog to hog for a t-line draw and with between 3 and four feet of curl. The rings and lines are true, something that was brought to public attention when BC's Kelly Scott was caught out by an imperfect circle at this year's Scotties. Games will be 68 minutes, metered using time clocks, with each team allowed two 60 second time-outs, the clock to stop until the coach reaches their team. In an extra end, each team would be allowed one time out. 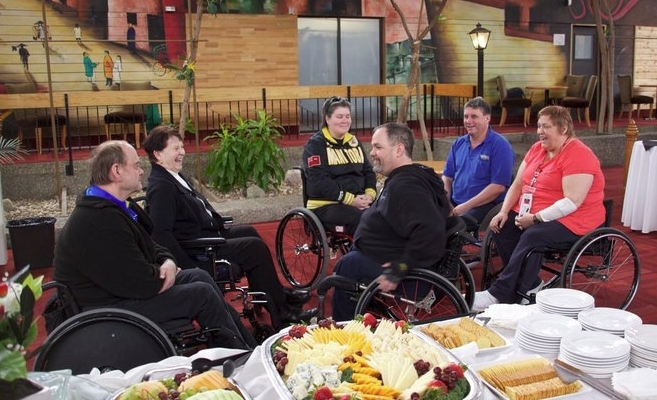 All teams are mixed gender, rocks are thrown from stationary wheelchairs and placed within 18 inches either side of the centre line at delivery. Hammer will be decided by a single throw to the button at the end of each team's pre-game practice. This year there's an extra incentive for the thrower, a $1,000 prize donated by R. Vallee Home Rentals to cover the pin. Teams can choose who they want to throw that draw, but every team member must, over the course of the nine round robin games, throw at least once. The club will be using five sheets so there will be no byes. Each team gets to rotate across each sheet during pre-championship practice with NL, MB, NO, SK and HOST taking first practice and AB, BC, QC, NL and ON taking second. 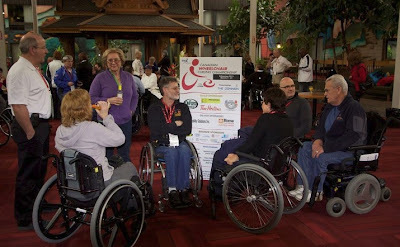 After the 2011 Worlds, Team Canada skip Jim Armstrong felt that some teams had progressed to the point that matching rocks made sense. I don't know whether any of the coaches in Edmonton have spent time doing that. 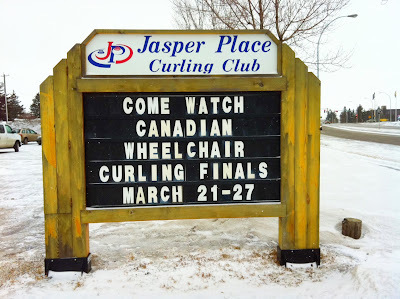 You can read an excellent article on curling rocks and how they differ and why that matters HERE. The organising committee put on a wine and cheese reception Mayfield Inn and Suites yesterday for the teams. Head time-keeper Daryl Kirton and Vince Herchmer- Deputy Chief Ice Technician.